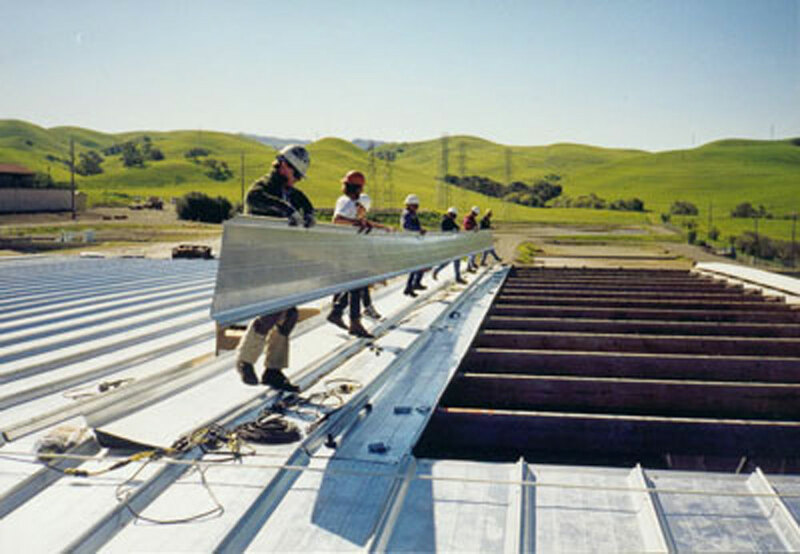 Since 1976 Metal Building Company has installed millions of square feet of metal roofing. We are experts on new roofing and roof replacement projects. The various types and complexities of available metal roofs on the market require absolute attention to detail. We can help you maintain your current metal roof with the application of coatings that extend the lifespan of your steel roof. We are qualified to install and work on cool roof rated products. Our experienced project managers will suggest the best solution for your metal roof. We are available for your project in the San Francisco Bay Area, Sacramento, Stockton or the surrounding areas. What is corrugated metal roofing? Something that is corrugated basically has ridges and grooves, which gives it the appearance of having folds. When metal is corrugated, the bending strength of the sheet is increased in the opposite direction of the corrugations. This makes the material much more rigid and strong when any force is applied in that direction. Metal roofs benefit greatly from this process, as wind, snow, rain, and other elements come in contact with roofs on a regular basis. Why choose metal roofing? The great thing about metal roofs is that the material is 100% recyclable. They may cost a bit more than some other conventional materials, but the last much longer and have very little maintenance issues. In addition, metal roofs are great at protecting your building against some common problems including fire damage, as it will not burn, wind damage, and water damage, as it doesn’t absorb water. And, according to one study, there is no additional noise from rain over standard roofing materials. In addition, metal roofs weigh significantly less than asphalt roofs. Sixty foot long standing seam metal roofing.